3/13/2019: A mythical beast, a lost generation of scouts, and the strongest brew this side of the wasteland. 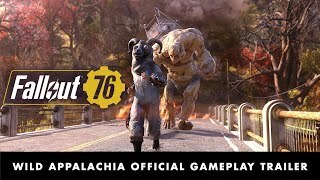 Welcome to Wild Appalachia. 10/31/2018: Who Goes There? 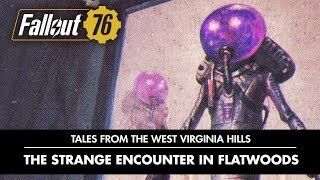 : The Strange Encounter In Flatwoods opens on a fateful night, when a young Pioneer Scout, Fred Fisher, finds himself in quite the predicament, having taken a spill and fallen into a dark place. 10/31/2018: Not all creatures are of the land; some stalk the skies. 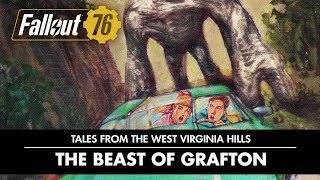 One such boogeyman has been reported for generations by mystified West Virginians. 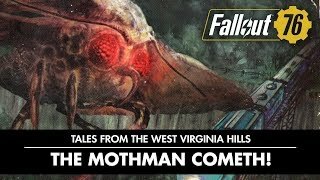 The Mothman Cometh begins in Morgantown Municipal Hospital. We join young Mary Scarberry at her bedside as she wakes, looking a little worse for wear. 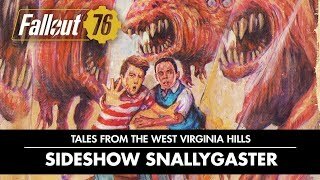 10/31/2018: In Sideshow Snallygaster, the carnival has come to the Tyler County Fairgrounds. Billy Harding and his dad wander past the games and rides as a sideshow Barker touts a frightful attraction. 10/31/2018: It has been said that money is the root of all evil. So when greed knows no bounds and avarice goes unchecked, what other appetites might take hold? Curse of the Wendigo chews over this very question. 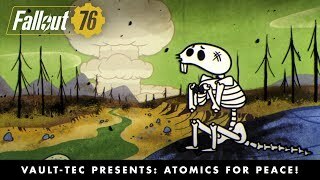 10/29/2018: Reclamation Day, 2102. 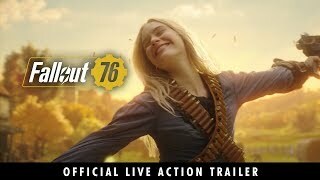 Twenty-five years after the bombs fall, you and your fellow vault dwellers, chosen from the nation's best and brightest, emerge into post-nuclear America. 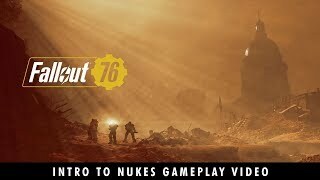 9/5/2018: Learn to work together with fellow survivors to piece together nuclear launch code fragments and harness the power of the atom. 8/21/2018: After thermonuclear war, Man's towering industrial marvels may no longer stretch to the heavens. 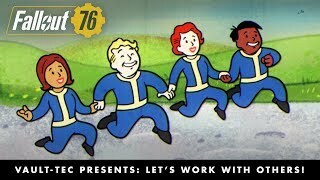 It's up to YOU to rebuild America with C.A.M.P.s ? Construction and Assembly Mobile Platform. 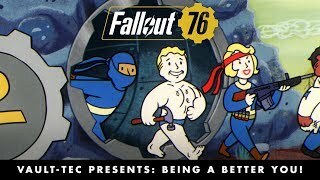 8/14/2018: Don't find yourself downtrodden by your new life outside of Vault 76, other Vault Dwellers are here to help. 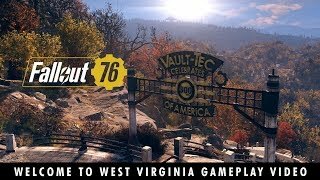 8/13/2018: What role will you fulfill in life outside of Vault 76? 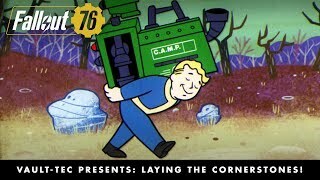 The latest episode helps Dwellers new to the outside world choose a path or many - success is in the cards. 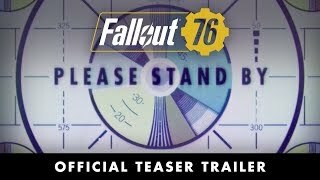 6/28/2018: Unlock access to the ultimate weapon ? Nuclear Missiles. 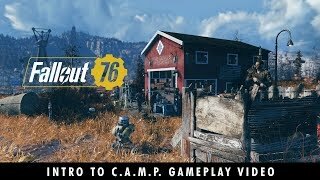 6/27/2018: Use the Construction and Assembly Mobile Platform (C.A.M.P.) to build and craft anywhere in the world. 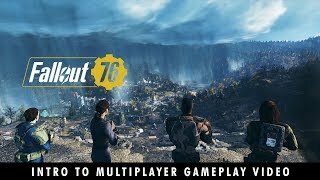 6/26/2018: The You Will Emerge introduction to multiplayer in Fallout 76. 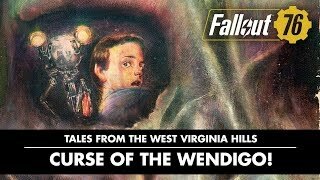 6/25/2018: Visit the post-nuclear regions of West Virginia. 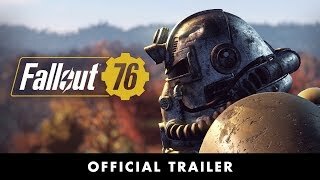 6/11/2018: Fallout 76, the online prequel where every surviving human is a real person. Work together, or not, to survive. 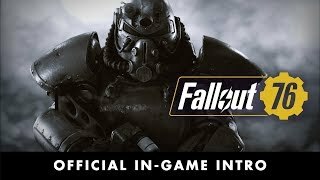 5/30/2018: Get your first brief glimpse at the next Fallout game.